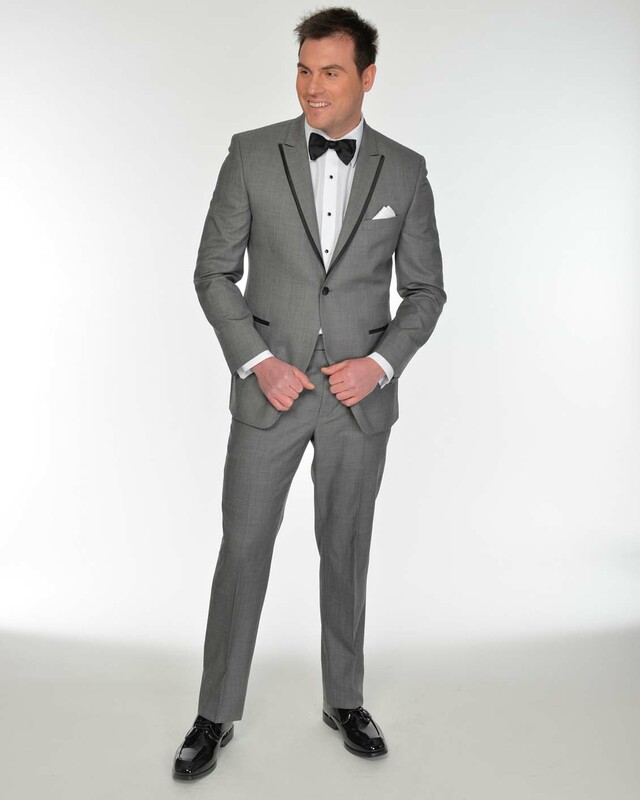 Be the life of the party and turn heads in this shark skin grey tuxedo. Pair it with a black shirt if you want to dress it down a little. 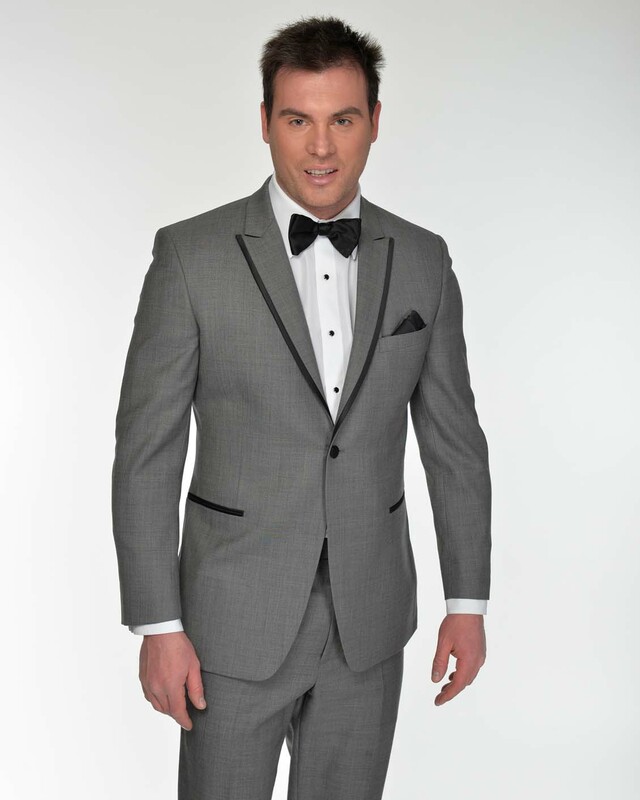 Slim Fit , one button black satin piped trimmed peak lapel with side vents. Super 120 Wool. 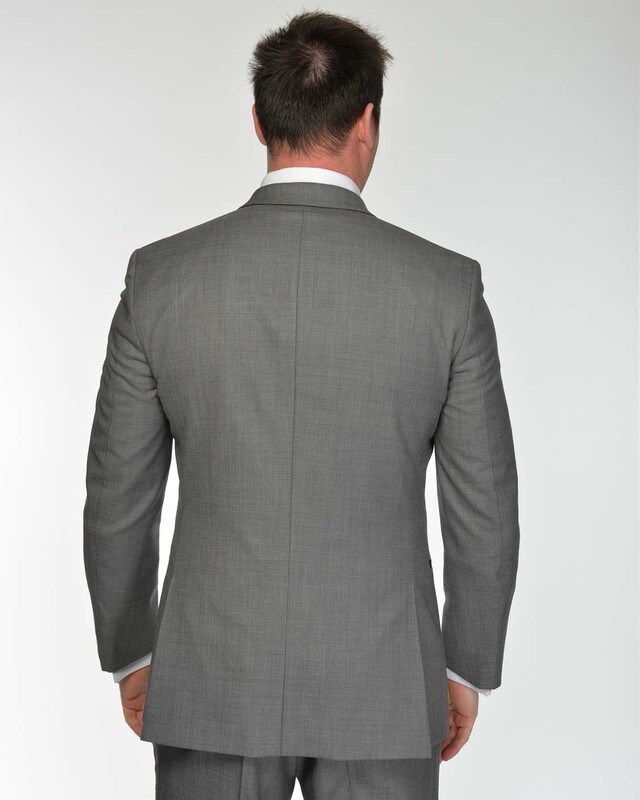 Can also be worn with black pants.